The Bakwé, pronounced [BA-kwey], is the name of both the language and the people. Click on the map to the left to enlarge it. 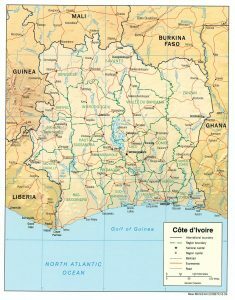 The Bakwé live in southwest Côte d’Ivoire. Their territory extends from the Gô River in the west to the Sassandra River in the east, and from the right bank of the Sassandra River at the town of Soubré down to the San-Pédro River in the south. 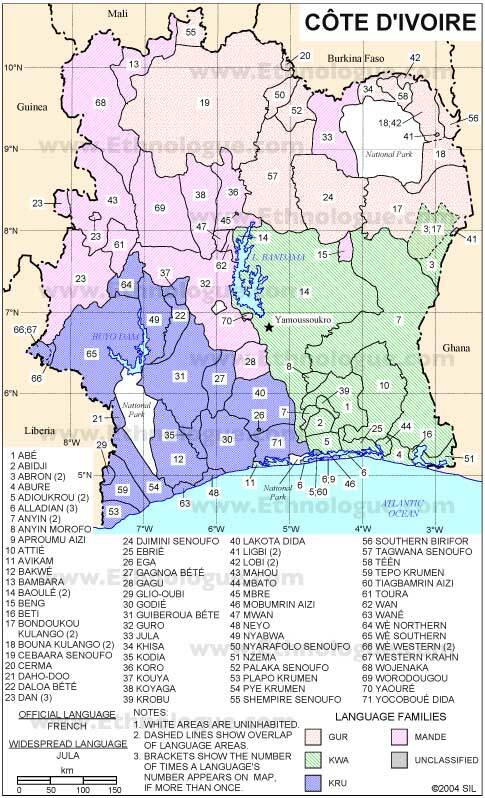 These physical boundaries roughly correspond to the following ethnic boundaries: to the east, the Néyo, the Kodia and the Bété (from the south to the north along the Sassandra River); to the south, the Néyo and the Wané; to the west, the Kroumen; to the north, the Bété. 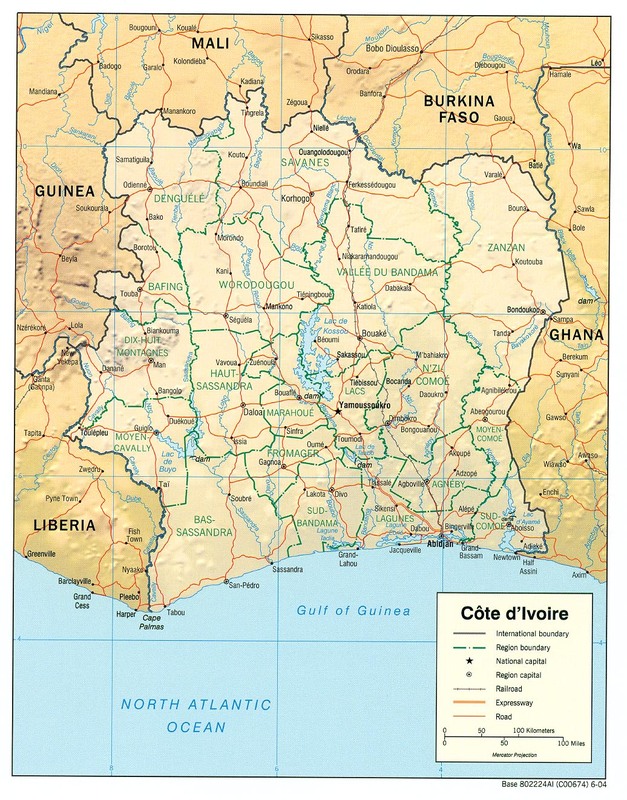 You can also click on this more detailed map of the different languages in Côte d’Ivoire here, which comes from the “Ethnologue”, a publication of SIL.